El jabirú, tuyuyu o jabirú americano2 (Jabiru mycteria) es una especie de ave ciconiforme de la familia Ciconiidae; es la mayor cigüeña del Nuevo Mundo. Con una altura de 120-140 cm y una envergadura (alas desplegadas) de 3 metros, es una ave inconfundible de los humedales americanos desde Yucatán hasta la pampa argentina, siendo abundante en zonas como los llanos venezolanos o el pantanal. Se parece bastante a su pariente, el marabú africano, pero a diferencia de este no come cadáveres aunque sea carnívoro, prefiere pescar dentro del agua. También es común encontrarlos en los llanos de Bolivia. No es un ave sociable. Se le encuentra en solitario; las parejas construyen nidos voluminosos sobre grandes árboles, con puestas de 2 a 4 huevos. Su nombre proviene del idioma guaraní y significa “cuello hinchado”, en referencia a su capacidad de inflar a voluntad los sacos aéreos subcutáneos ubicados en el cuello. En la zona norte de Argentina y en Paraguay recibe varios nombres populares como “Tuyuyú coral” o “Tuyuyú cuartelero”. The jabiru (/ˌdʒæbɪˈruː/ or /ˈdʒæbɪruː/; Latin: Jabiru mycteria) is a large stork found in the Americas from Mexico to Argentina, except west of the Andes. It is most common in the Pantanal region of Brazil and the Eastern Chaco region of Paraguay. It is the only member of the genus Jabiru. The name comes from a Tupi–Guaraní language and means “swollen neck”. In Portuguese, the bird is called jabiru, jaburu, tuiuiu, tuim-de-papo-vermelho (“red-necked tuim“, in Mato Grosso) and cauauá(in the Amazon Basin). The name tuiuiu is also used in southern Brazil for the wood stork (Mycteria americana). The jabiru is the tallest flying bird found in South America and Central America, often standing nearly the same height as the flightless and thus much heavier American rhea. For the continent, it also has the second largest wingspan, after the Andean condor (that is, excluding the great albatross occasionally found off the coast of southern South America). The adult jabiru is 120–140 cm (47–55 in) long, 2.3–2.8 m (7.5–9.2 ft) across the wings, and can weigh 4.3–9 kg (9.5–19.8 lb). Sexual dimorphism is high, possibly the highest of any stork, with males being about 25% larger than females. Males weigh an average of 6.89 kg (15.2 lb) whereas females weigh an average of 5.22 kg (11.5 lb). Large males may stand as tall as 1.53 m (5.0 ft). The beak, which measures 25–35 cm (9.8–13.8 in), is black and broad, slightly upturned, ending in a sharp point. Among other standard measurements, the tail measures 20–25 cm (7.9–9.8 in), the tarsus measures 28.5–39 cm (11.2–15.4 in) long and the wing chord measures 58.5–73 cm (23.0–28.7 in). [ The plumage is mostly white, but the head and upper neck are featherless and black, with a featherless red stretchable pouch at the base. The sexes are similar in appearance but the male is larger, which can be noticeable when the sexes are together. While it can give the impression of being an ungainly bird on the ground, the jabiru is a powerful and graceful flier. The jabiru lives in large groups near rivers and ponds, and eats prodigious quantities of fish, molluscs, and amphibians. It will occasionally eat reptiles, bird eggs and small mammals. It will even eat fresh carrion and dead fish, such as those that die during dry spells, and thus help maintain the quality of isolated bodies of water. They feed in flocks and usually forage by wading in shallow water. Jabirus detect prey more through tactile sensation than vision. They feed by holding their open bill at a 45 degree angle to the water. When prey is contacted, the storks close their bill, draw it out of the water, and throw their head back to swallow. [ It is an opportunistic feeder. In one instance when house mice experienced a population explosion in an agricultural area, and several hundred jabirus could be seen in each field feeding on the rodents (unusual for a bird that’s rarely seen in large numbers anywhere). On rare occasions, jabirus have been seen attempting to kleptoparasitize the two smaller storks it co-exists with, the wood and maguari storks. Jabiru are widespread but not abundant in any area. They are considered a species of least concern by the IUCN, an improvement from a status of near threatened in 1988. [ Jabiru gained protected status in Belize in 1973. Since then, their numbers in that area have slowly risen. They have been granted protected status by the U.S. Migratory Bird Act. 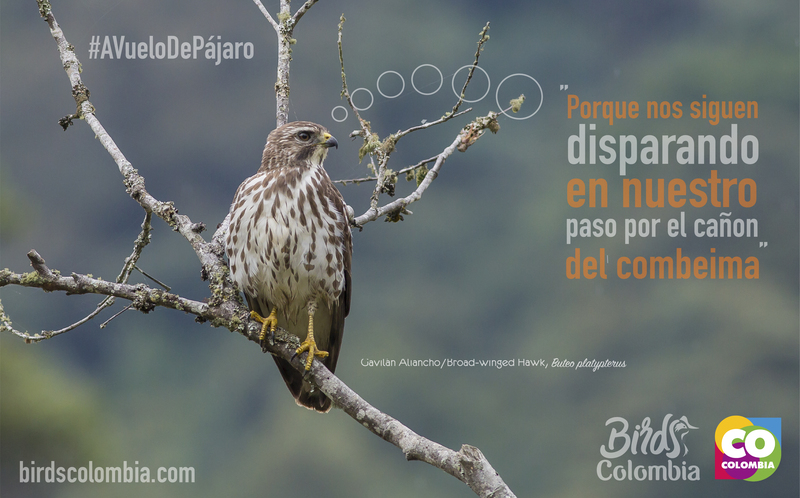 Publicado en CiconiidaeBookmark the permalink.